Head to Myspace Transmissions to get the audio, video and interviews of Sweden’s Miike Snow performing Animal, Silvia, Black & Blue, and Sans Soleil. First off, its not one guy named Miike. 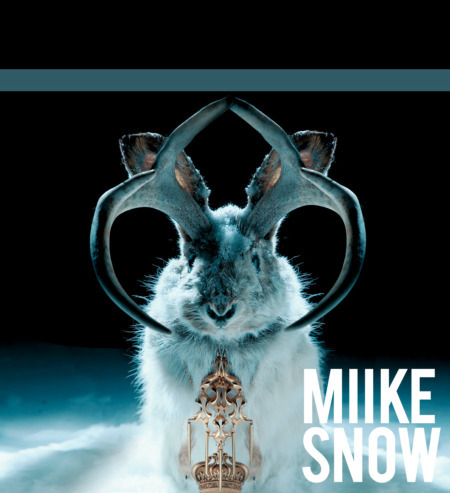 Miike Snow are Swedish musicians Christian Karlsson and Pontus Winnberg with American Andrew Wyatt. Karlsson and Winberg are a production duo called Bloodshy & Avant, writing and producing for Kylie Minogue, Madonna and winning a Grammy for their work on Britney Spears’ Toxic. 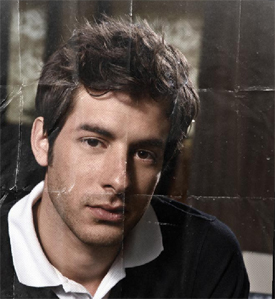 Wyatt had recently been co-producing with Mark Ronson on the most recent Daniel Merriweather album. The three have been together since 2007 and now they’re now coming to North America, touring as a 6-piece (to properly re-create songs off their self titled album). Less like the artists they produce or write for, I’m more a fan of their pop. Most specifically, Animal. Catchy as hell. Try this remix too Animal (Punks Jump Up Remix). At least one of them will get stuck in your head. Catch them next week in Toronto if you can. Miike Snow. Friday, June 5th @ Supermarket. More tourdates here.